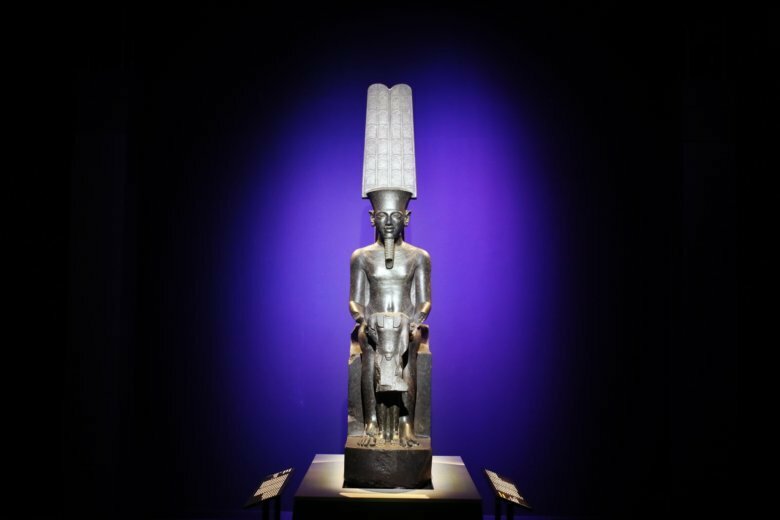 PARIS (AP) — A new exhibit of artifacts from the tomb of ancient Egyptian pharaoh Tutankhamun is opening in Paris more than 50 years after a similar exhibit set a visitor attendance record that still stands in the French capital. Organizers said the 150 items in the exhibit, titled “Tutankhamun, Treasures of the Golden Pharaoh”, are traveling outside Egypt for the last time before they go into a new museum near the Giza pyramids. The exhibit was assembled to commemorate the upcoming centenary of British archaeologist Howard Carter’s 1922 discovery of Tutankhamun’s intact tomb and the treasures it held. Paris, where the exhibit opens to the public Saturday at the Grande Halle de la Villette, is the second stop of a 10-city tour that started in Los Angeles. The artifacts include gilded wooden statuettes, including one of Tutankhamun riding a black panther, a miniature coffin for the pharaoh’s viscera painted in bright gold and blue, and jewelry decorated with lapis lazuli scarabs. Curator Tarek El Awady said the exhibit attempts to answer “the most common question about why ancient Egyptians buried treasures like this” with dead pharaohs. Tutankhamun might have used some items on display, like a pair of gloves, during his short life. He was 9-years-old when he became pharaoh and ruled ancient Egypt until he died at age 18 or 19. “When people come, they will actually join the king and together they will travel and take this dangerous journey to the afterlife and see the king from the moment he died until the moment he resurrected and enjoyed the eternal life,” El Awady said. “Tutankhamun, Treasures of the Golden Pharaoh” is on view at Paris’ Grande Halle de la Villette from March 23 to Sept. 15.